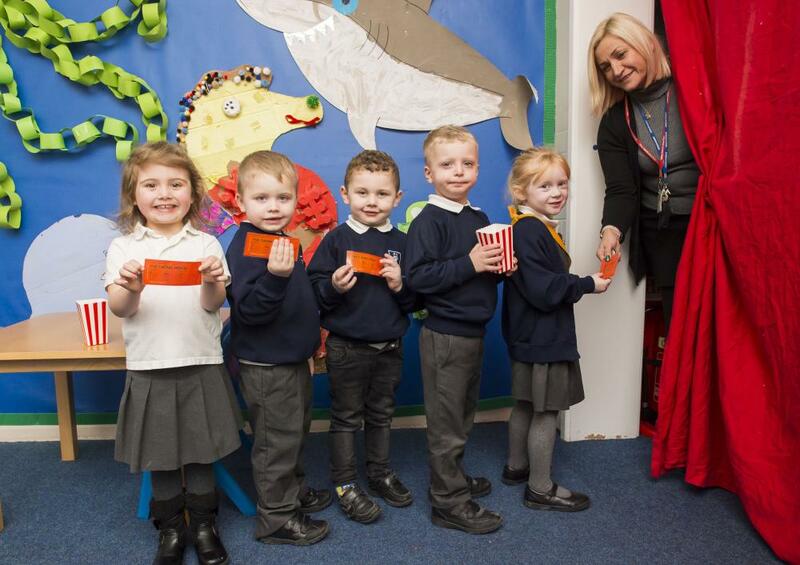 Reynolds Academy pupils (l-r) Maizy Johnson, Argie Bradwell, Mason Sharp, Kai Bee and Freyja Foster queue with their tickets to get into the cinema. Nursery Leader Jane Day acts as an usher. 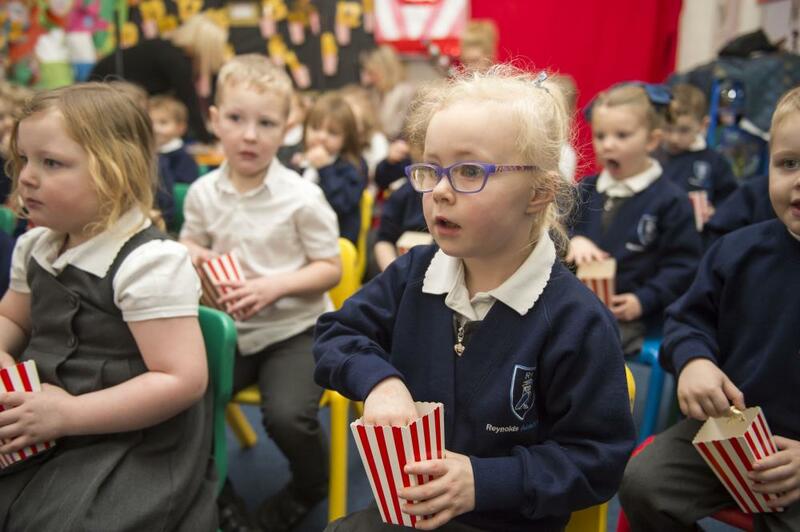 FS1 pupils went to the movies and enjoyed the full experience thanks to teaching staff, who acted as ushers and served popcorn and drinks. The pupils are studying the theme 'At The Movies' this term and will watch a movie a week, beginning with The Grinch. 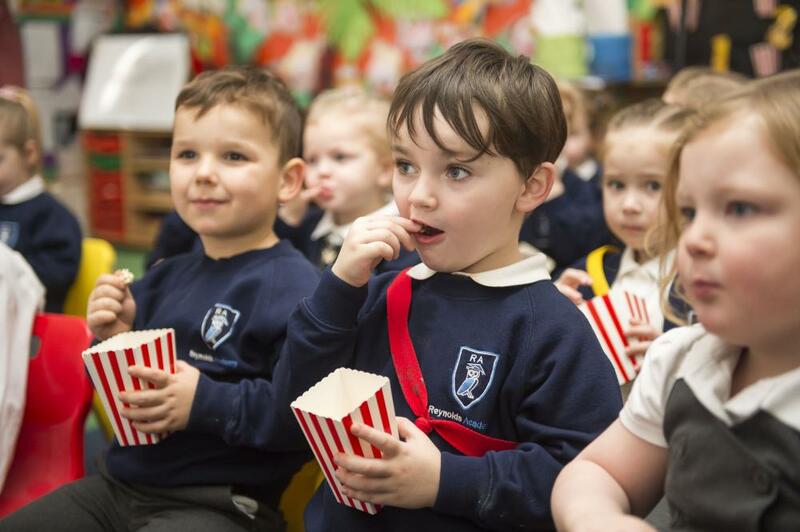 Nursery Leader Jane Day said: "Studying the films helps the children with many skills. It helps them learn numeracy around characters and fine motor skills. It improves their Literacy skills as they talk about the film and improves their early reading. The children really love it because it engages them." Above and below: Pupils enjoy the cinema experience.